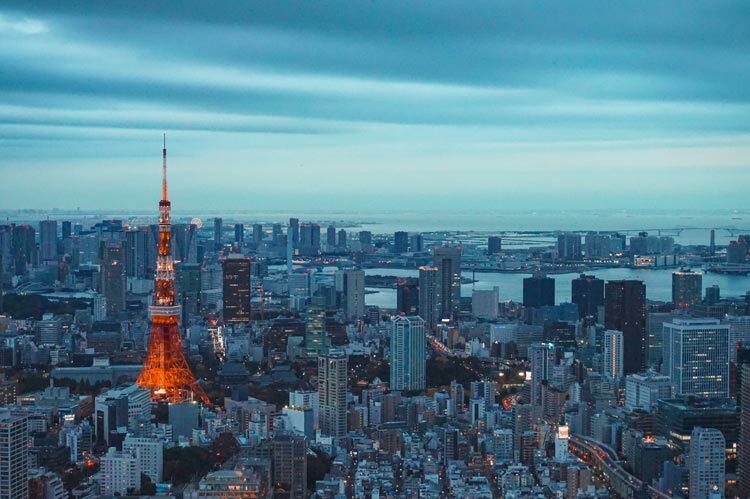 There are so many things to do in Tokyo (I compiled 100, to be exact). 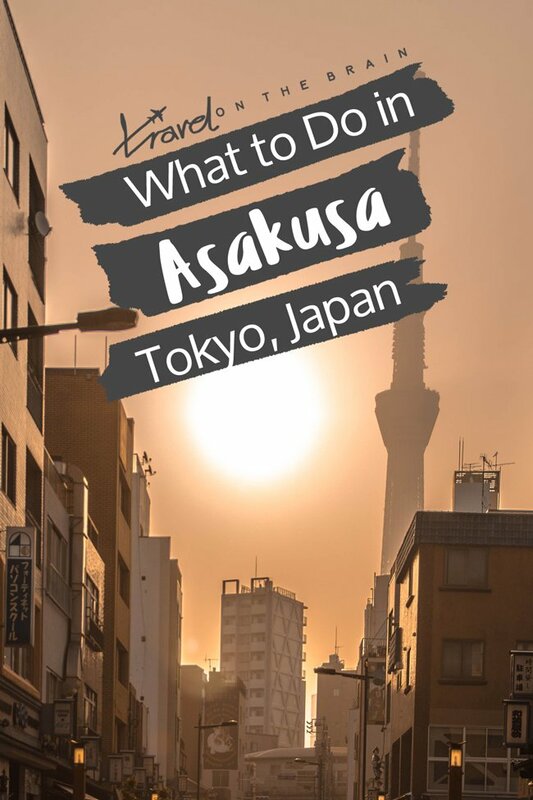 But if you want to dig deeper into local districts, such as central Harajuku and Shibuya or Shibamata on the outskirts, why not take a closer look at Asakusa? 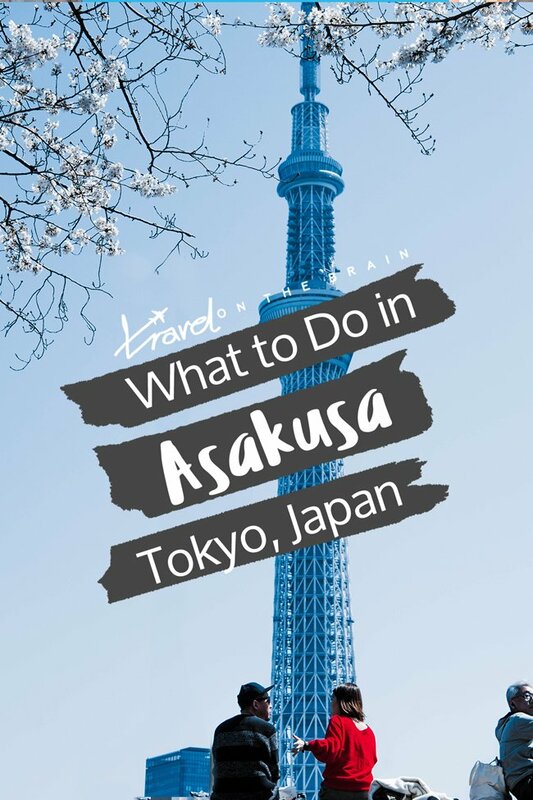 Boasting ancient temples and shrines, you don’t need to wonder what to do in Asakusa as I’ve got you covered. 5 Should You Visit Asakusa? One of the most important Buddhist temples in Tokyo (and the oldest), Sensō-ji certainly stands out. It is dedicated to Kannon Bosatsu, who stands for compassion. Legend has it that two fishermen found his statue in the river and it was consequently enshrined. 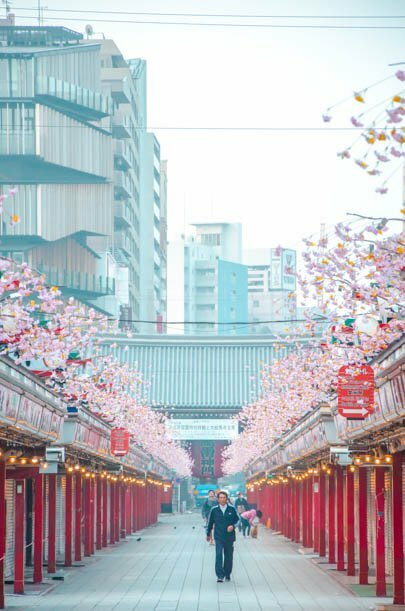 On your walk up to Sensō-ji, you can hardly miss the bustling shopping street Nakamise. It is filled with 89 stores, traditional handicraft and delicious food items. This is where you can find amazing Japanese souvenirs. 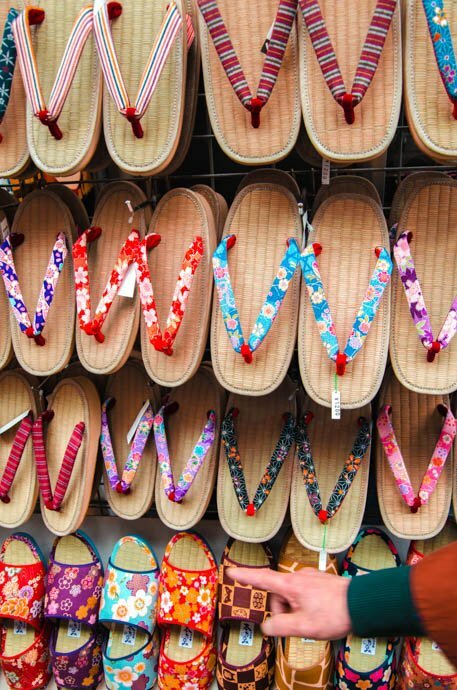 For instance, you can buy specially crafted kimono shoes at a family run store that has enjoyed long-standing tradition. The impressive gate’s name at the start of Nakamise-Dori, leading up to Sensō-ji and the inner gate, translates to Thunder Gate (雷門). It stands out with its giant lantern in the centre and statues on the side. The original gate was built in 941 and today’s version, a reconstruction after a fire, is from 1960. Asakusa Shrine is right next to Sensoji temple and one of the area’s only two buildings to survive the WWII bombings. It is also known as the Shrine of the Three gods and honours the founders of Sensō-ji as they devoted their lives to spreading Buddhism. You can book a guided tour combining a visit of several shrines and temples for more insights. If you want an authentic introductory view into the life of the often glamorized samurai, this Asakusa attraction is for you. The Samurai Museum not only has real artifacts on display but also shows how samurai pervaded daily life even until today. In total, the samurai period lasted 700 years, so there is quite a lot to learn about it. Close to Nakamise-Dori, you can find Denpoin Dori. The two are very similar (and have a traditional look) but while Nakamise receives plenty more visitors thanks to its prominent location, the other one is less crowded. 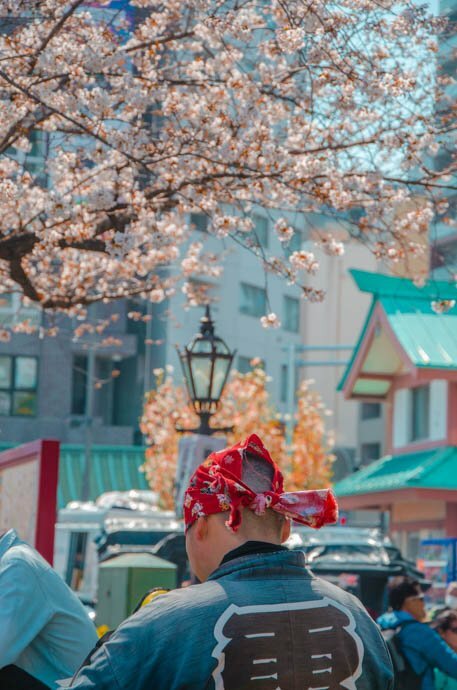 It offers specialty shops around kimono wear and traditional items, including kanzashi hair accessories, tenugui cloths as well as delicious treats, both savoury and sweet. If you are catching the sunrise by the river and walk past the closed stores, don’t forget to admire the beautiful Edo paintings on the shutters. Once a flower park, Hanayashiki has become a popular amusement park in Tokyo. Plus, it’s being super central (unlike Tokyo Disneyland). It dates back to 1853, which makes it the oldest amusement parks in Tokyo! There is a rollercoaster, merry-go-round, sky ship, haunted house, a 3D cinema and – most famous – the panda car. 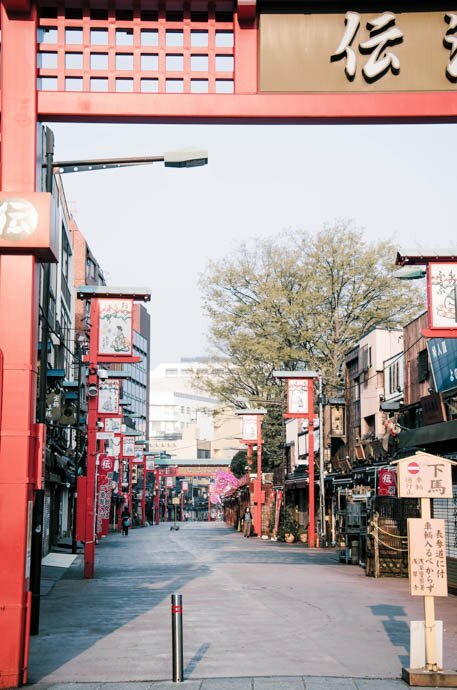 Shopping isn’t the only major thing for Asakusa things to do. The entertainment options of Asakusa district are also noteworthy. A popular place for that is Asakusa Engei Hall in the Koen Rokku entertainment district, one of the four theatres in Tokyo that stage Rakugo acts. These are single storyteller spoken pieces. Other shows include magic, stand up group comedy and acrobatics. One of the coolest private museums, Amuse museum offers a unique take on the Japanese love for everything beautiful, ranging from textiles to art. Not surprisingly, the official long-form name of the museum is The Textile Culture and Ukiyo-e Art Museum. At any time, you can admire 1500 items. Every visit is different as they are displayed on a rotary principle. 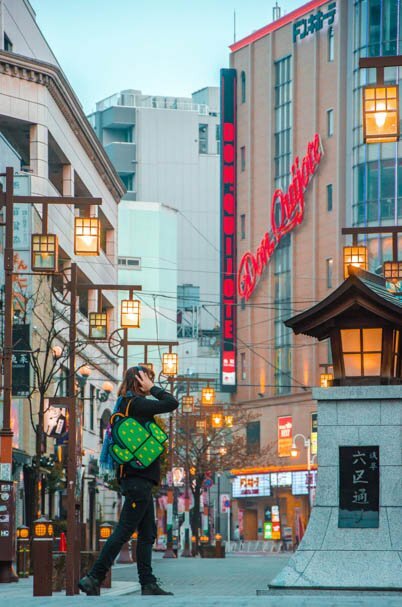 The Asakusa district offers plenty of shopping facilities. You can easily wander around the rather small district and getting lost is hard to do. Everything is laid out in mostly a neat grid street network. 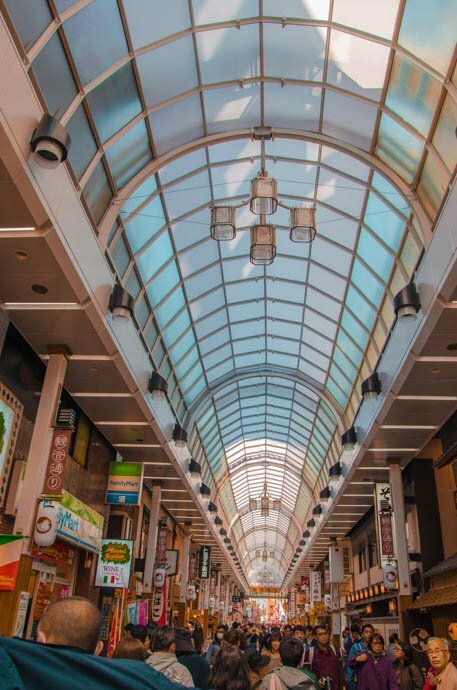 For typical souvenirs, beauty shopping and smaller snacks, you can wander through the roofed arcade streets west of Nakamise-Dori. More elegant dining can be had along Kannon-dori, which runs up to Asakusa Shrine. For traditional gifts and finds, stroll along Nakamise-Dori and Denpoin Dori. Of course, there are also “proper”, modern shopping malls to get everything under one roof. Try Don Quijote and Rox in the Rokku district as well as the station stores (ekimise) spreading over 9 floors at Asakusa station. 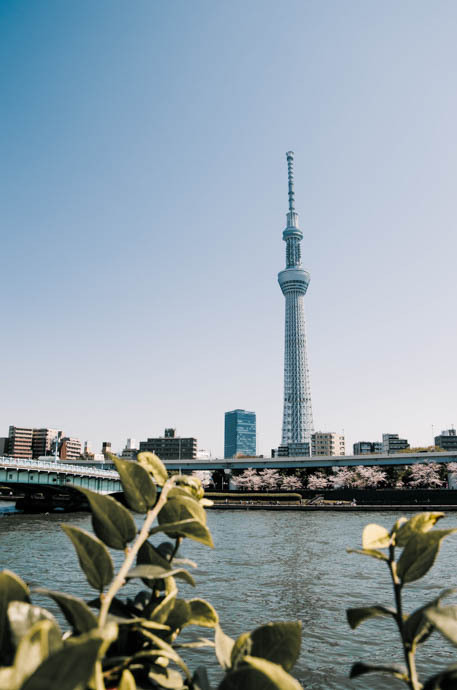 Pro tip: The roof floor offers amazing views over Skytree Tower. Asakusa is perfect for great Japanese dining experiences. However, don’t dine out too late as shops close around 9PM. Wander around the streets for amazing Asakusa restaurants along the streets of Kannon-dori and Asakusa Chuo Dori. For afternoon snacking, try Asakusa’s handmade gelato at Italia no Gelato-ya. A must try for Asakusa dining are sweet potato snacks, such as imo-kin. 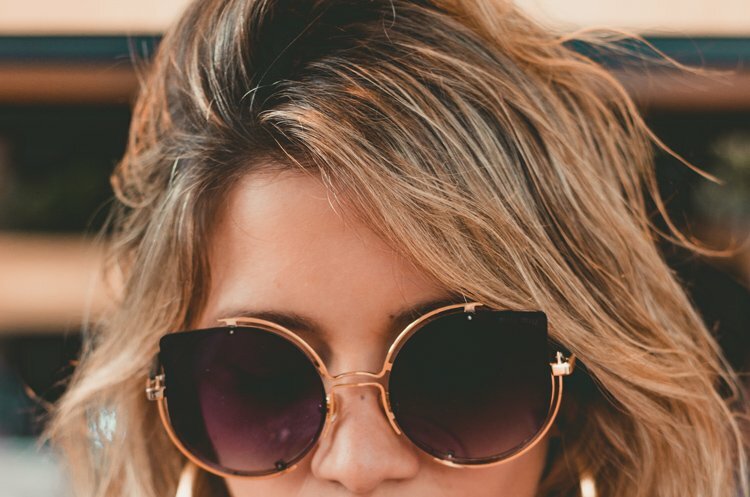 Get them at Mangando, for instance. In case you just don’t wanna get away from Asakusa’s shopping malls, try the 7th floor of Asakusa Station’s Ekimise. Here, you can find a variety of Japanese and Western-style restaurants. For four floors all dedicated to food, hit up Marugoto Nippon. While okonomiyaki is a thing best to be eaten in Osaka or Hiroshima (check out my recipes), why not get your fix in Tokyo? Sometaro Okonomiyaki and Hyotan are highly recommended. To try the local specialty of monja-yaki (a must! ), a go to Asakusa restaurant is Tsukushi. It basicaly is okonomiyaki but interpreted Tokyo-style. (There is an entire street with over 100 monja-yaki restaurants in Tokyo, called Tsukishima Monjadori.) Pro tip: Don’t eat it with your chopsticks! Use the moji-bera spatula to cut a piece, press down to make it stick and put it in your mouth. The best ramen can be slurped at Ramen-tei Asakusa and Kamiya. Here’s a special tip from a foodie reader for all those wanting some yummy baked goods. Try warm melonpan fresh out of the oven from Kagetsudo. They now have multiple stores all over Asakusa as they are insanely popular and make melonpan like nobody’s business. Of course, Nakamise-dōri has tons of foodie treats as well. You gotta try ningyō-yaki as well as senbei cookies in various flavours, including uni, ume-boshi and mentaiko. Once you are done with your Asakusa sightseeing, you might want to rest your head on a soft pillow. 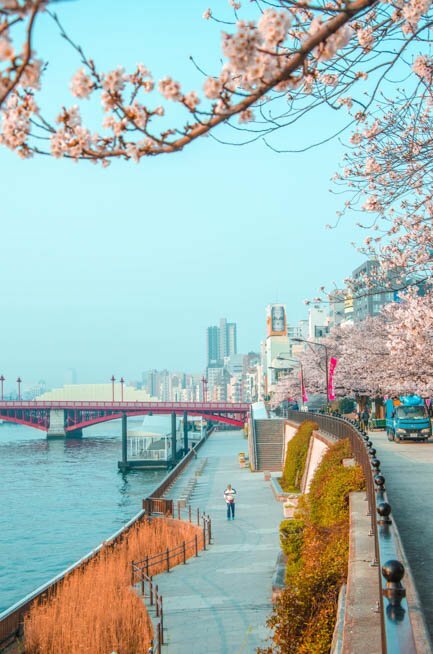 Japan is not cheap and hotels can be one of the priciest part of your Japan trip, but if you are booking off season, prices can be actually affordable. Single travelers can enjoy the traditional ryokan Asakusa Hotel Hatago for only around $61 a night (for 2 people prices start at $94). A little cheaper and super sleek and modern is APA Hotel Asakusa Tawaramachi Ekimae. You’ll feel like in a movie, it’s that fancy! If you want to level up even further and treat yourself, try the excellent city view rooms from The Gate Hotel Asakusa Kaminarimon. It’s super close to at Asakusa Kaminarimon Gate and Sensoji temple, offers extra long beds (+2m), bath tubs and late check in. When it comes to hostels, check out Bunka Hostel Tokyo. You might think it is a hotel upon first glance. Its minimalist design is that magnificent. 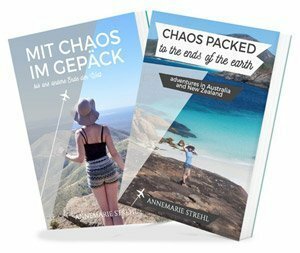 It offers 24h check in, which is great if you arrive on a super early or late flight/train. I enjoyed my stays at Khaosan World as well, which is close to the Rox mall. Asakusa in Tokyo is really well connected. You can reach it via JR, Tokyo Metro and Toei Lines. The station is rather big, so you potentially can get lost if you need to switch lines (I did). If you want to enter Asakusa Station (浅草駅), double check which entrance leads to your desired subway line. 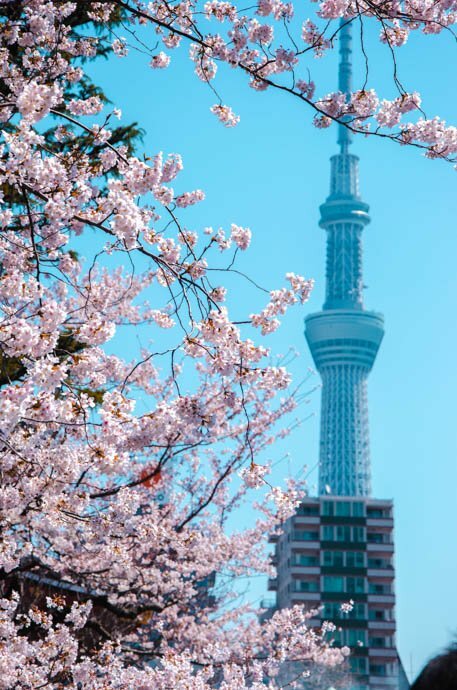 Other nearby stops that are only a few walking minutes away are Tawaramachi Station (田原町駅, operated by Tokyo Metro, and the Asakusa Station of Tsukuba Express, not to be mistaken by the other, larger Asakusa Station. This one comes in handy for airport transfers. You can also reach the Asakusa district by bus. Choose the Asakusa Ichichome Bus Stop 浅草一丁目（バス） for the following buses: 上２３, 上４６, 草３９ , 草４１ , 草４３ , 草６３ andＳ－１. There are multiple ways to get from Narita to Asakusa and they come at different lengths and prices. The most affordable option is taking the Keisei Line to Keisei-Takasago Station (各停Keisei-Ueno Line) for 65 minutes. Change to the 各停 Nishi-Magome line and get off at Asakusa Station after 8 minutes. The entire trip lasts around 90 minutes and costs around 960 yen. 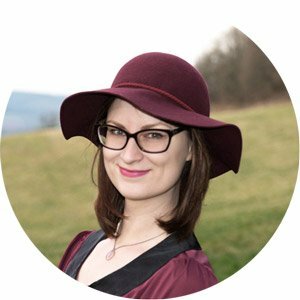 You can check times and schedules online. Alternatively, take the Keisei Narita Skyaccess (¥1,290) all the way or the Skyliner to Ueno and then the JR Ginza line to Asakusa station (¥2,640) if you want the trip to be over in an hour. To avoid all the trouble of buying individual tickets or topping up your metro card, why not invest in a 24 or 48 hour Tokyo transport card? I can speak from experience on how difficult it can be to navigate Tokyo’s transportation system. You need to show your passport when using these tickets. You can buy them in advance. Tokyo is a great destination every time of the year. No need to visit during prime cherry blossom season though it’s one of the most vibrant (crowded and expensive) times. 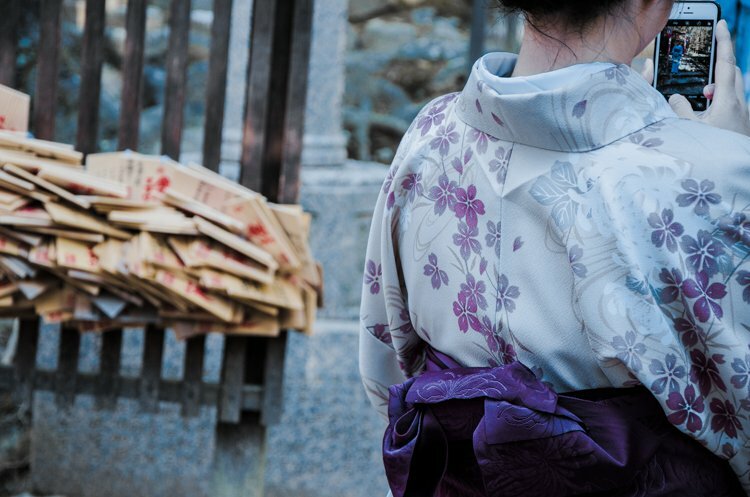 Why not come at the end of April for wisteria season or end of June for Sanja Matsuri? One of the most well known and definitely the wildest festivals in Tokyo, Sanja Matsuri (三社祭) is a joy to behold. It’s held on the third weekend of May over three days at Asakusa Shrine. From there, three mikoshi are carried around the streets of Asakusa and there’s dancing and traditional music at the temple. 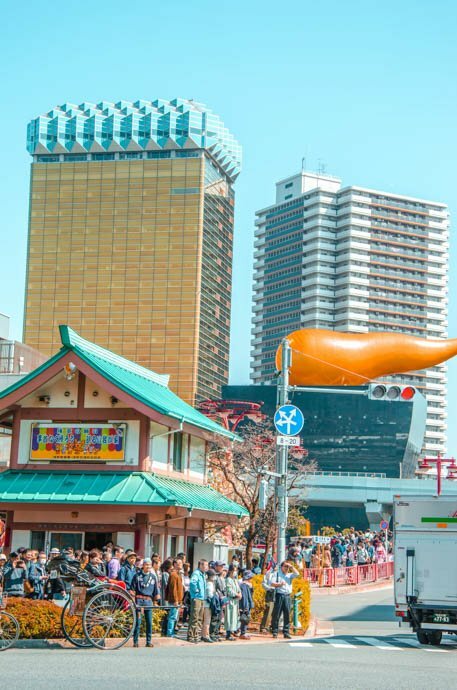 When wondering what Asakusa things to do first, think of your timing as well. Don’t arrive before 10AM or in the early evening. Most things will be shut. This isn’t an area for busy nightlife or early market visits. 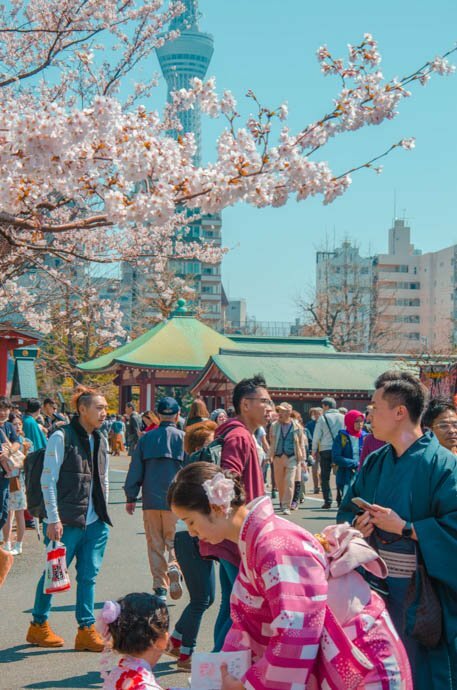 Luckily, everything is super close and the Asakusa area is very walkable, so you don’t have to schedule in an entire day into your Asakusa guide. 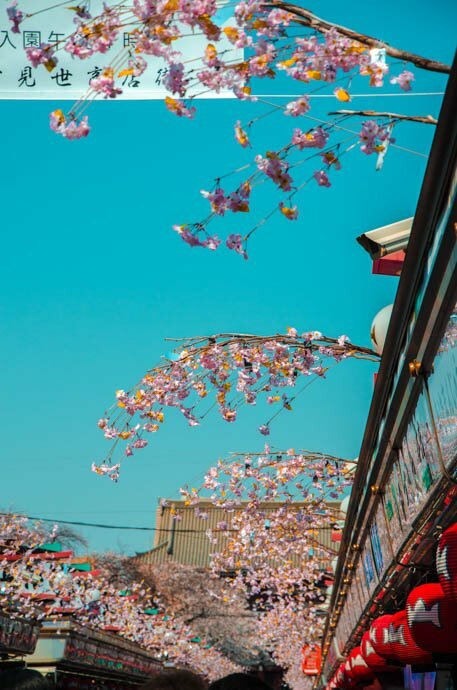 What to see in Asakusa? Tell me your favourites in the comment section.